The Coalition army returns with a vengeance. General Holmes strikes from the north. 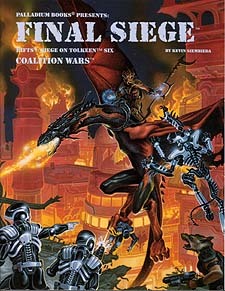 Tolkeen is in flames and the final battle begins. One wins. One falls. This is the story. * Freehold and the Dragon Kings, Princes and Heirs. Where are they? * Chatterlings, Gargoyles and other "beasts of war"